Longtime NHL executive Lou Lamoriello has joined the New York Islanders and will have full authority in all hockey matters. The team on Tuesday announced the hiring of the 75-year-old Lamoriello as president of hockey operations. Longtime NHL executive Lou Lamoriello joined the New York Islanders on Tuesday and will have full authority in all hockey matters. The 75-year-old Lamoriello will hold the title of president of hockey operations. Son Chris Lamoriello has been the team's assistant general manager since 2016. He comes to a team that has missed the playoffs eight of the last 12 seasons. Recalling the team's glory days from a generation ago, Lamoriello said he is "excited to join such a storied franchise." It was not immediately clear how the move will affect current president and general manager Garth Snow. He has four years left on his contract. Lamoriello's hiring was first reported by The Athletic, which said Snow's deal has a "steep buyout." Islanders managing partner Scott Malkin said in a statement the team is "committed to giving Lou every resource and the full support of the entire organization." Malkin thanked the Maple Leafs for their "courtesy in allowing this move." 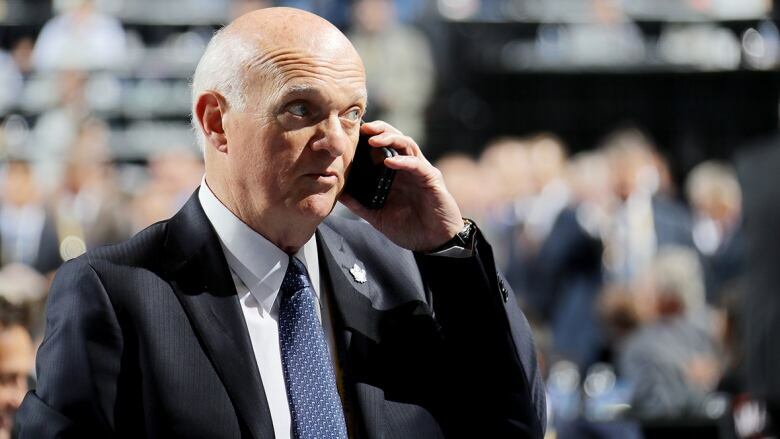 The Islanders needed permission from Toronto to speak with Lamoriello. His immediate task will be re-signing captain John Tavares, the face of the franchise. He is set to be an unrestricted free agent July 1. Snow and coach Doug Weight just returned to New York after spending a week at the world championships in Denmark. The Islanders have missed the playoffs the last two years. They reached the second round of the postseason in 2016, their only series win since 1993. New York was 35-37-10 this season in Weight's first full season. Lamoriello ran New Jersey's hockey operations from 1987 to 2015, during which the team reached the Stanley Cup final five times and won the title in 1995, 2000 and 2003. Maple Leafs President Brendan Shanahan announced on April 30 that Lamoriello would not return next season, sticking to a plan that called for him to serve as general manager for three years and then transition to senior adviser for four years. Lamoriello will now have to address the situation surrounding Tavares. He has said he hopes to be back with the only team he's played for, but doesn't know what will happen. The 27-year-old just wrapped up the final year of a six-year, $33 US million contract. He had 37 goals and 47 assists this season, finishing a goal and an assist shy of the career highs he set in 2014-15.